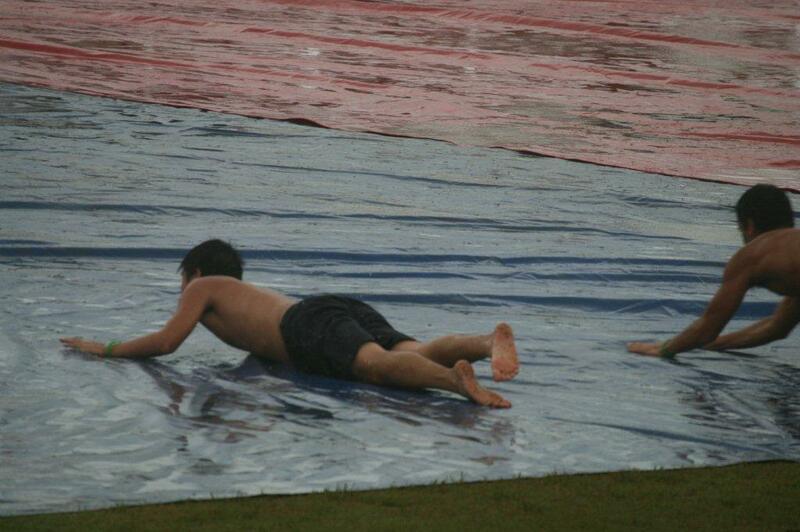 Yesterday’s (July 30) Cup Match pitch saw more than the usual batting and bowling, as after the game was suspended due to rain spectators took the pitch for a furious session of watersliding. 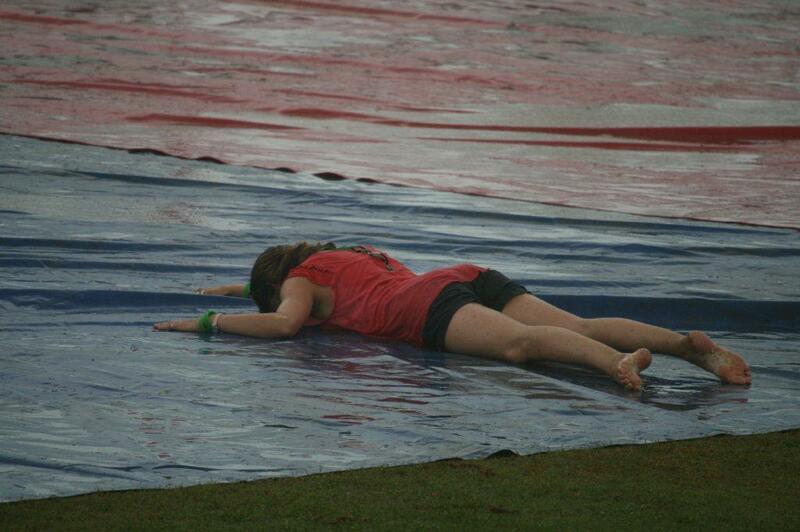 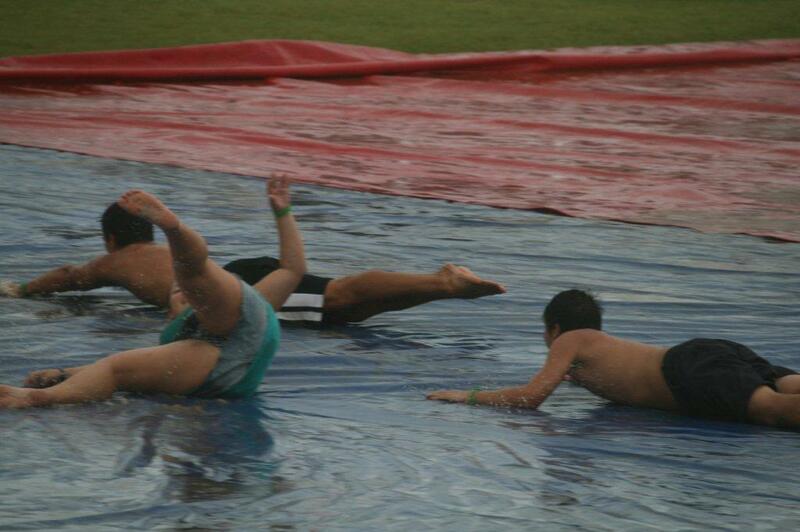 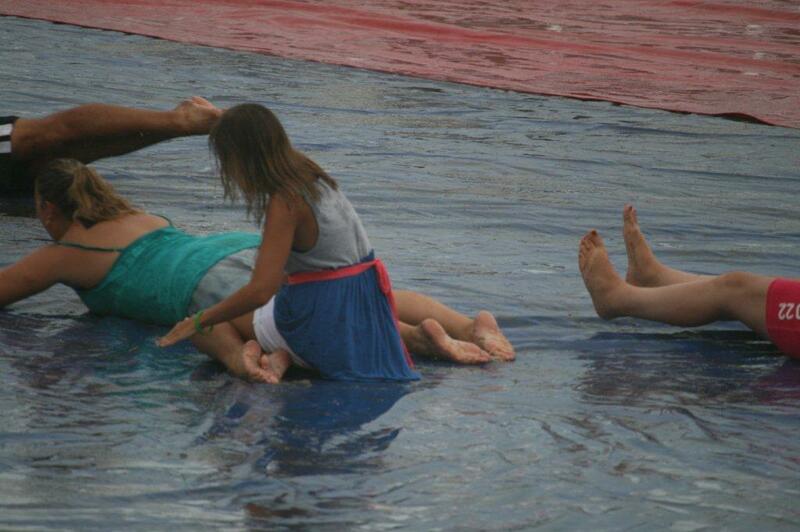 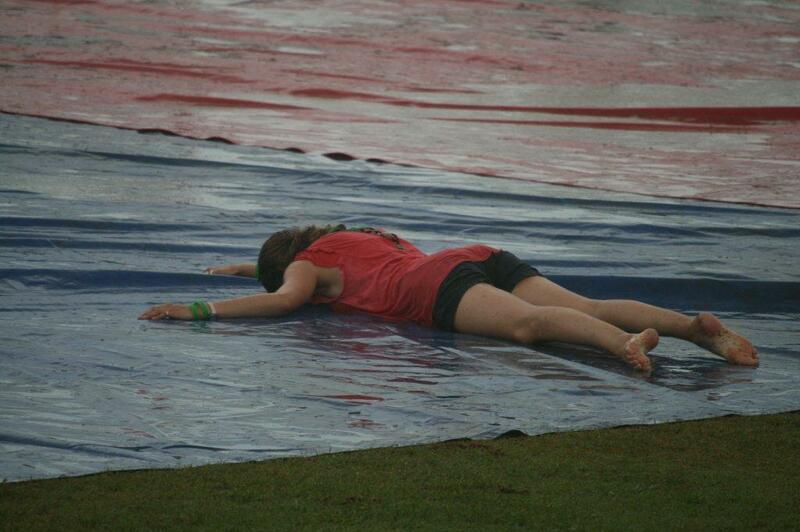 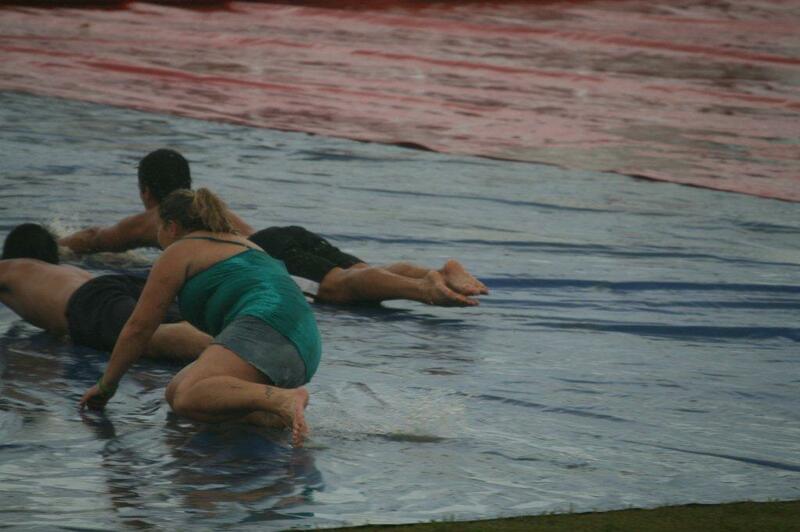 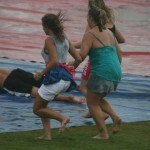 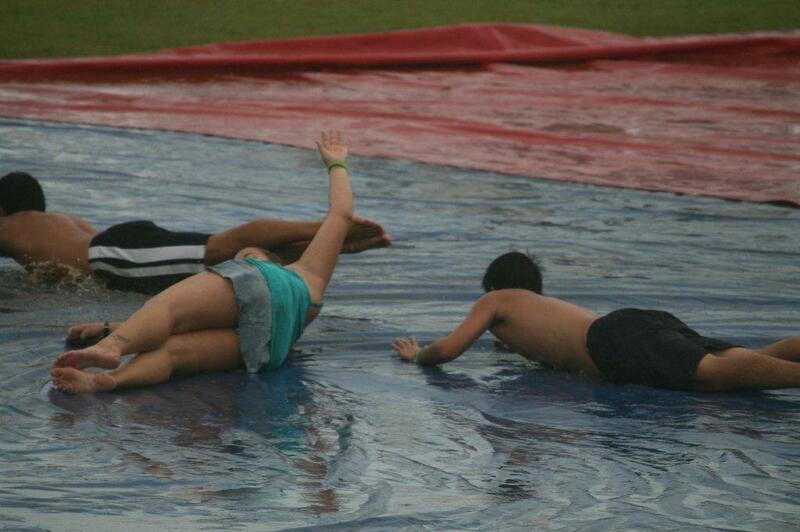 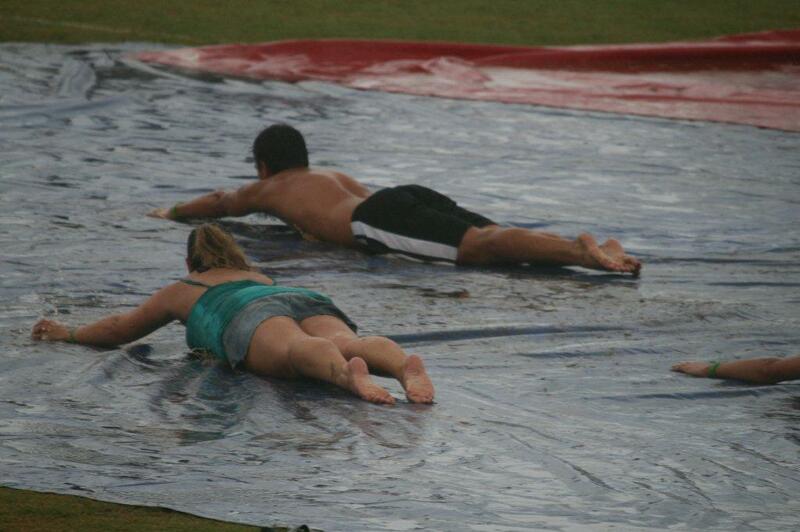 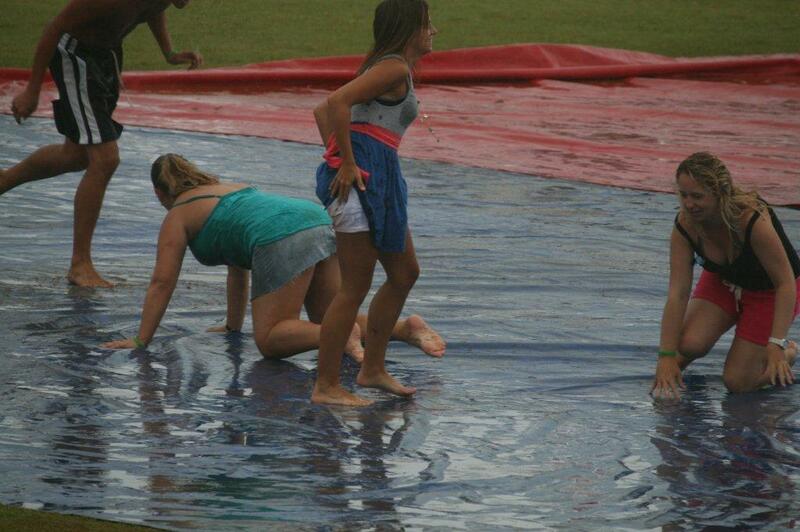 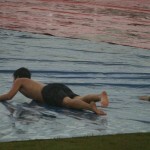 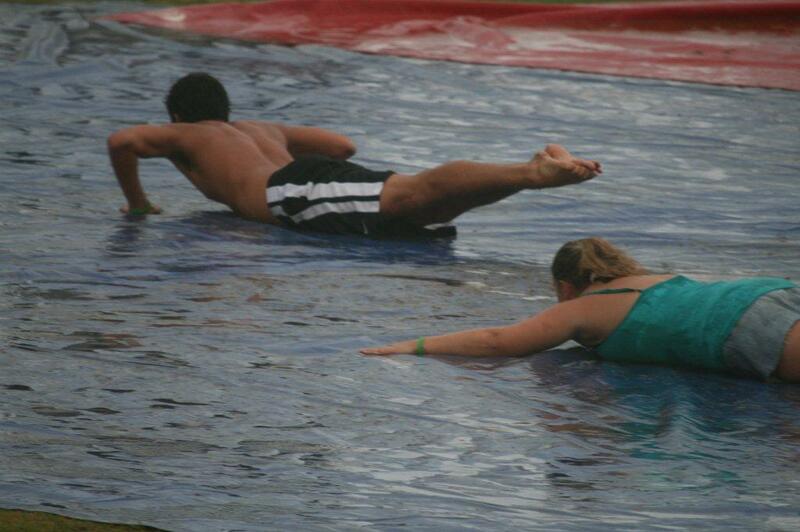 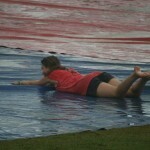 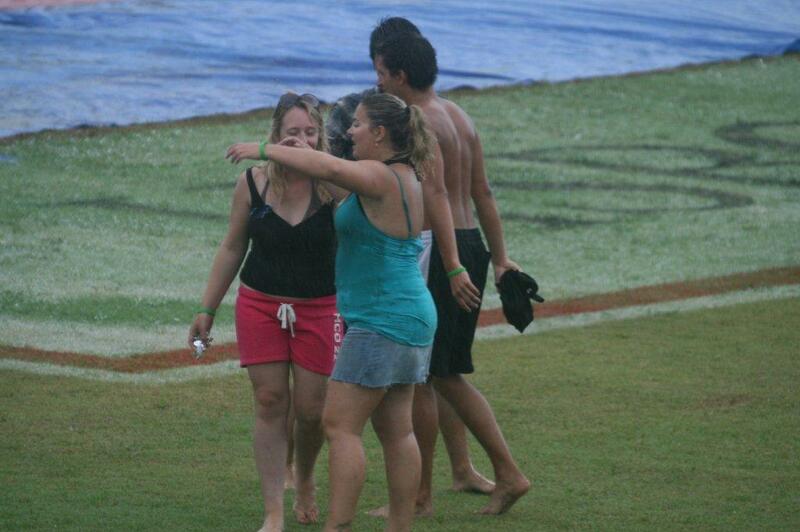 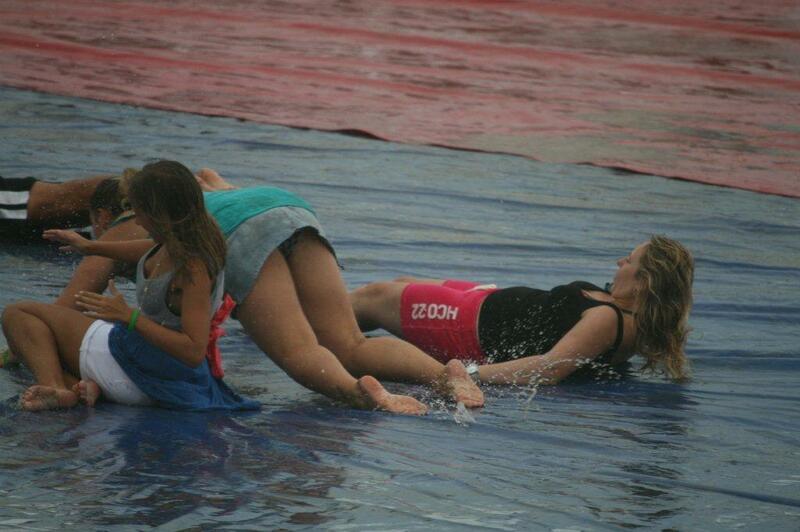 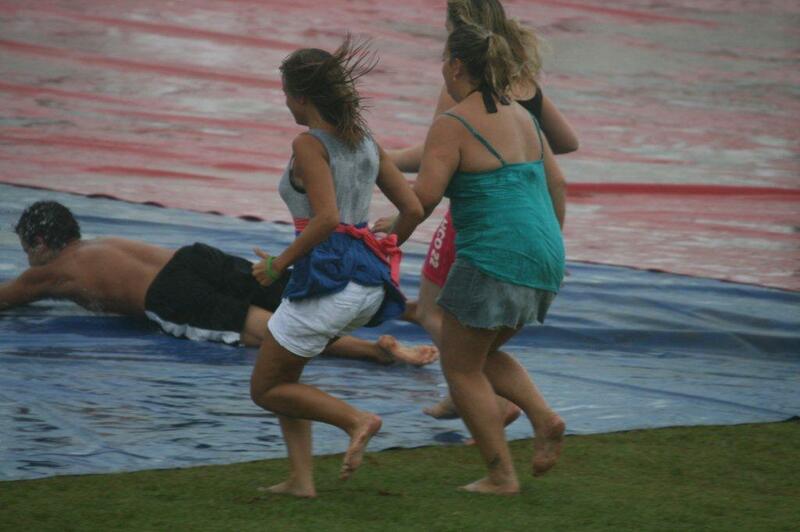 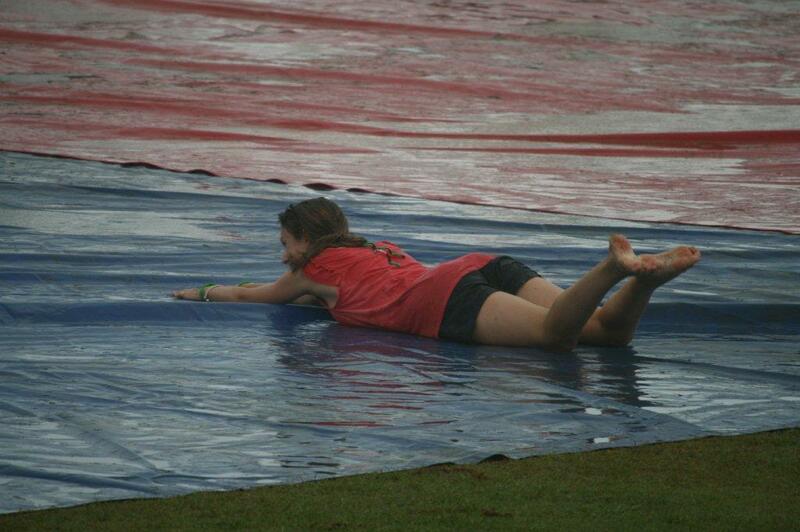 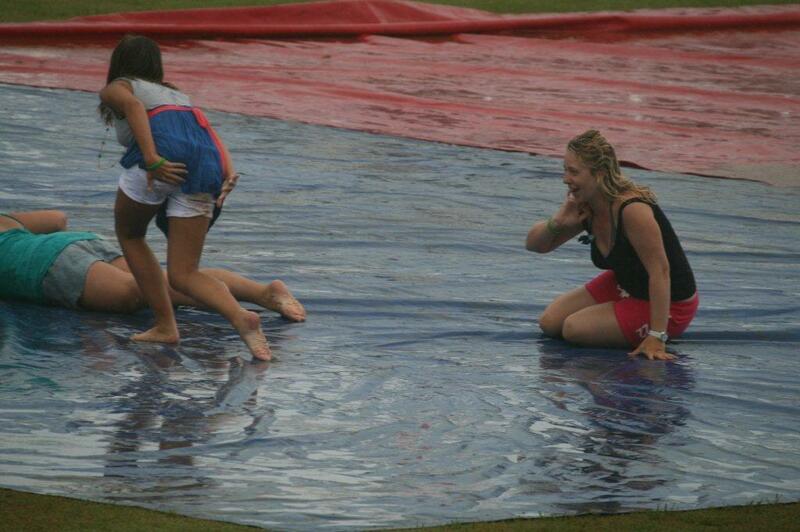 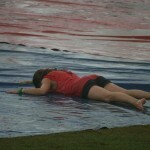 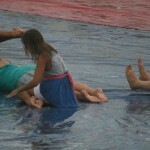 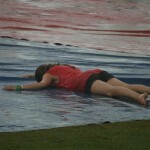 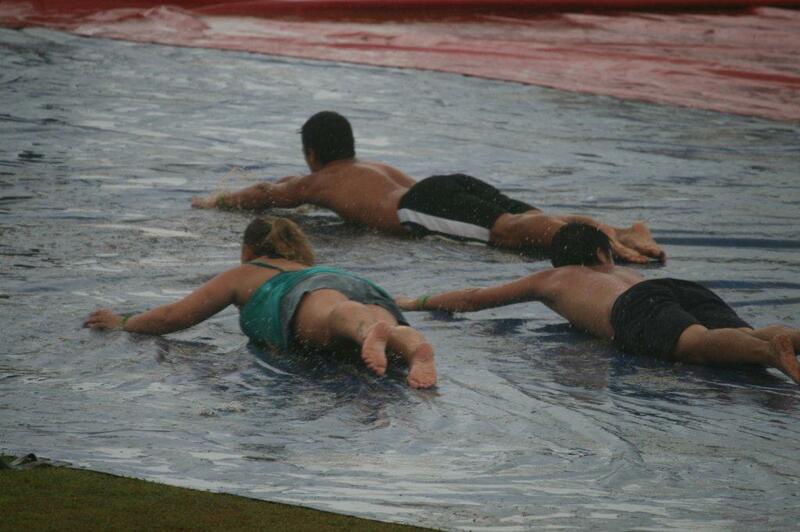 The sliders were enthusiastically cheered on by the crowd as they sprinted and dove headfirst on the tarp-covered pitch. 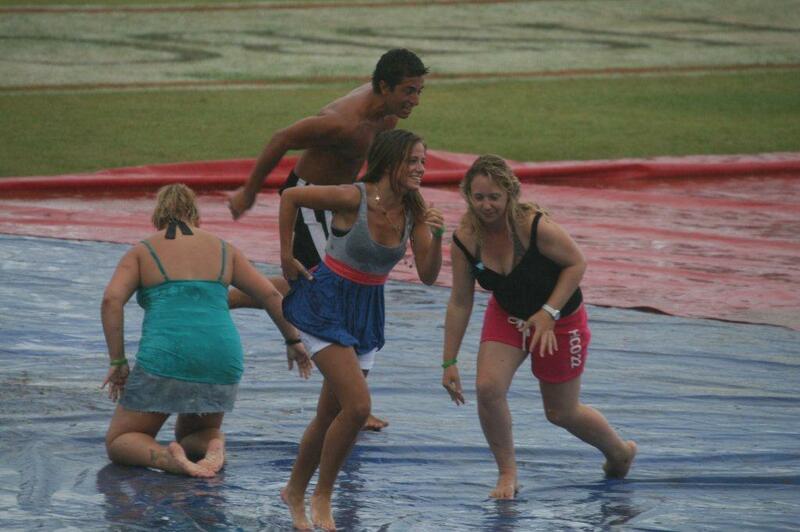 Not everyone present appeared to support the impromtu-sliders, as at around 4pm cricket officials and the Bermuda Police stopped the sliders saying they must protect the pitch. 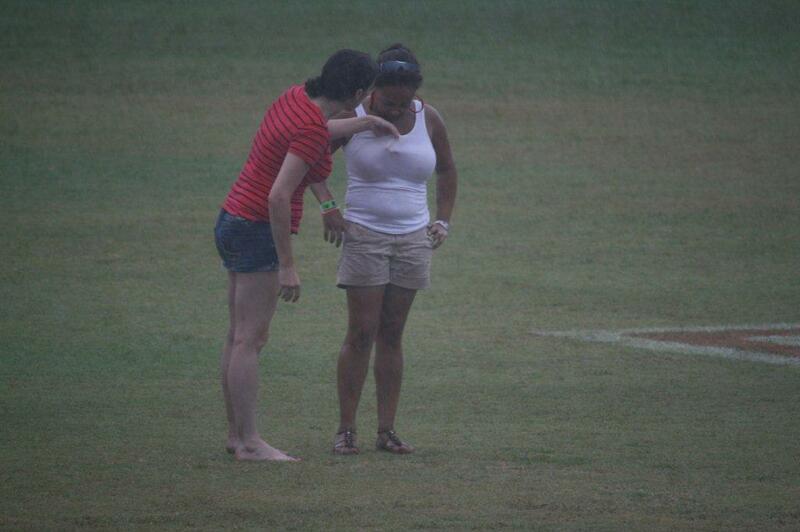 For more Cup Match photos see here, and for all our Cup Match coverage click here.